Chattanoogans can satisfy their sweet tooth with gourmet ice cream no matter what time of year it is. There are a lot of chain ice cream shops in Chattanooga, but the best ice cream’s made by these local or regional shops. They know what the community wants and how to serve them, scoop by scoop. 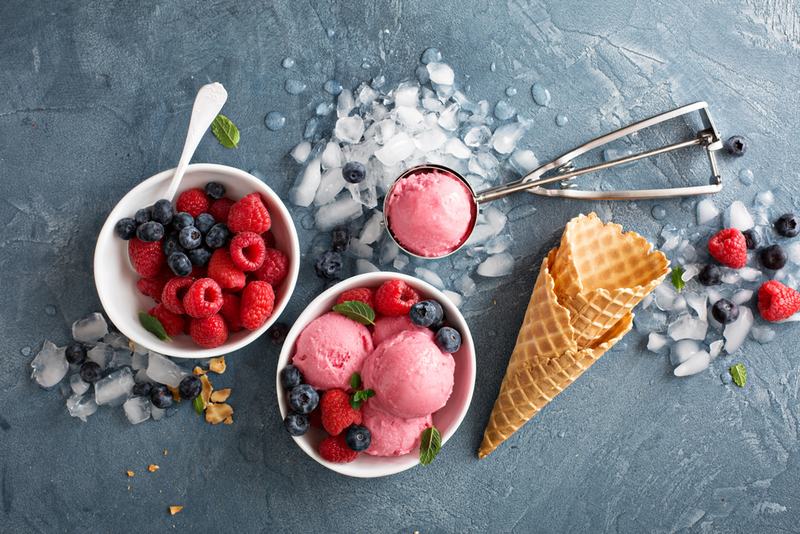 Next to the walking bridge, the Aquarium and Hunter Art Museum, The Ice Cream Show is the perfect place to stop if you’re craving something sweet while downtown. The Ice Cream Show custom-blends all of their flavors. You can choose from a frozen yogurt or ice cream base. Mayfield Ice Cream, which originated in nearby McMinn County, makes both bases. You can choose from over 40 toppings to blend into your base and make your own unique flavor. Another Chattanooga classic that’s right in the heart of downtown is Clumpies. 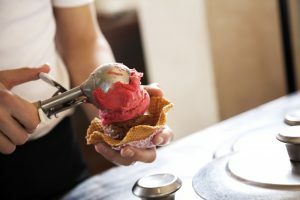 They also handcraft all of their ice cream with their signature flavors. They make each batch of ice cream in ten gallons or less. The small batches allow for Clumpies to provide the highest quality flavors possible. There’s so much more than just ice cream at Milk & Honey. They also serve coffee, breakfast, lunch, dinner and pastries. Even so, they’re most known for their gelato. 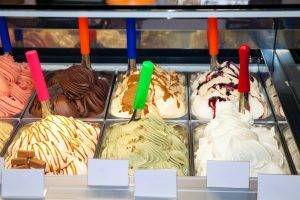 They only make their gelato with fresh, locally grown ingredients and often use seasonal produce. It gives the gelato a freshness and flavor you just can’t find anywhere else. Chattanooga recently saw a few rolled ice cream shops pop up around town. So far, 8° Fahrenheit Ice Cream seems to be the most successful. You can try one of the combinations listed on the menu, or you can make your own by choosing your favorite ice cream flavor and 3 toppings to go with it. 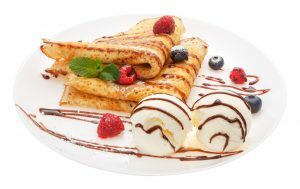 Adelle’s Ice Cream Creperie focuses more on crepes, but the ice cream is just as good. Adelle is a 13 year-old girl who loves to travel and taste food from all around the world. Her favorite foreign food is crepes, which is why she started her own creperie. Adelle’s very involved with the business, from helping new recipes to hand-picking the decor. You can even see her making the Better with Bacon crepe here.